Are Friendships a Key to Longevity? Is Milk the New Villain? Fall is a couple of days away. You know what that means? That means its time to break out the dutch ovens and stock pots and make soup! If you are trying to figure out how to get a pound of vegetables in your diet or looking for a delicious soup that melts your cares away, this one is for you! Not only is it healing and nourishing, but you can get just over a pound of veggies with just this one pot! 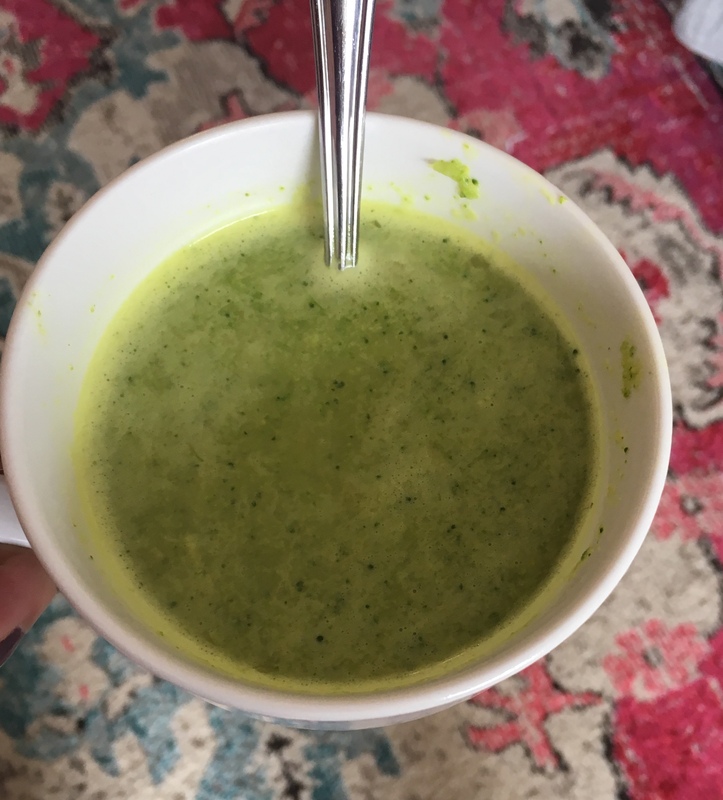 Here’s to curling up on the couch with a hot cup of cream of broccoli! Note: To make this truly AIP compliant, sub coconut oil for the ghee. The bone broth linked in the recipe is AIP compliant. In a pot over medium heat, saute the onions, garlic in ghee until onions are soft and translucent. Add turmeric and saute until fragrant. Add bone broth and broccoli and cook until hot. Use a hand blender to blend everything in pot until smooth. Add in coconut milk and heat until hot. Disclaimer: This blog post contains affiliate links. I may earn a small commission to fund my decaf coffee drinking habit if you use these links to make a purchase. You will not be charged extra, and you’ll keep me supplied in my favorite beverage. It’s a win for everyone, really. Is a Dental Office Safe for those with Celiac Disease/Gluten Sensitivity?